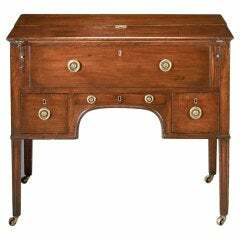 Elegant Mahogany Bureau by Maple & Co. 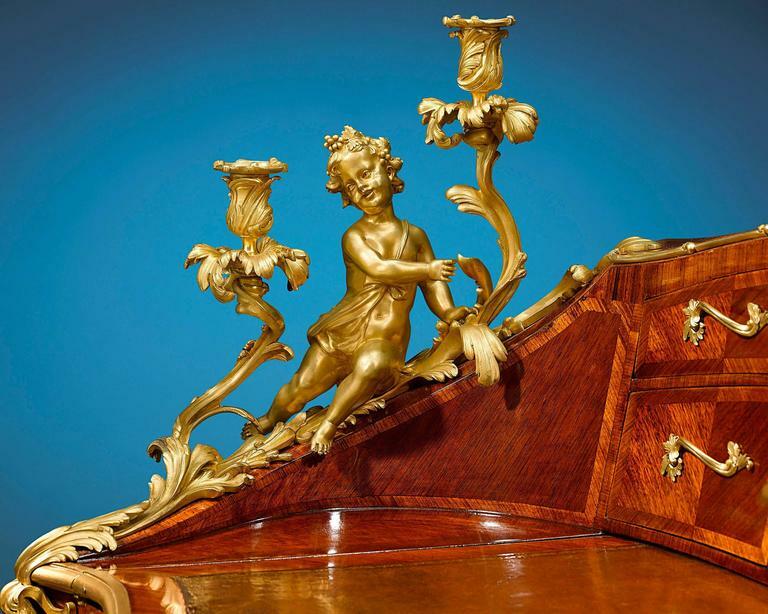 This fabulous and rare bureau à gradin, or tiered desk, was crafted by the highly respected ébéniste Theodore Millet of Paris, founder of the acclaimed Maison Millet firm. 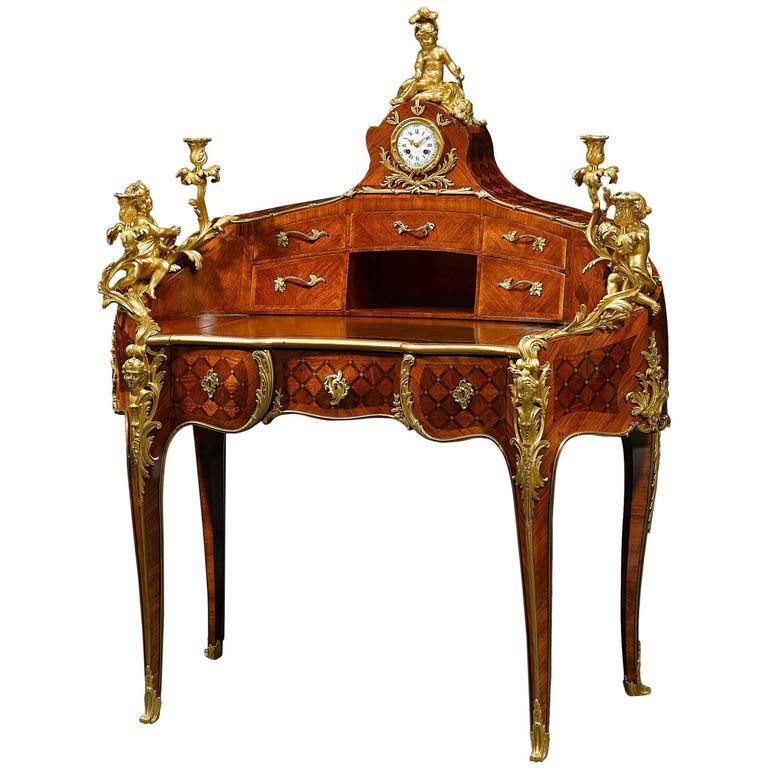 Displaying an outstanding rognon, or kidney shape, the desk is decorated on all sides with magnificent rosewood trellis marquetry and is beautifully enhanced by superbly cast ormolu mounts of the highest caliber. 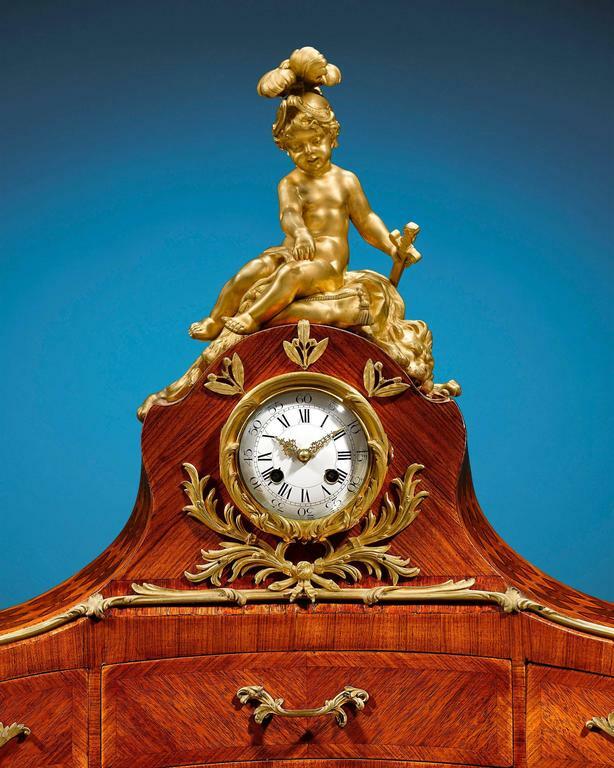 An elegant clock, supple leather-covered top and four candleholders serve as the perfect complement to this impeccable and rare 19th century creation. 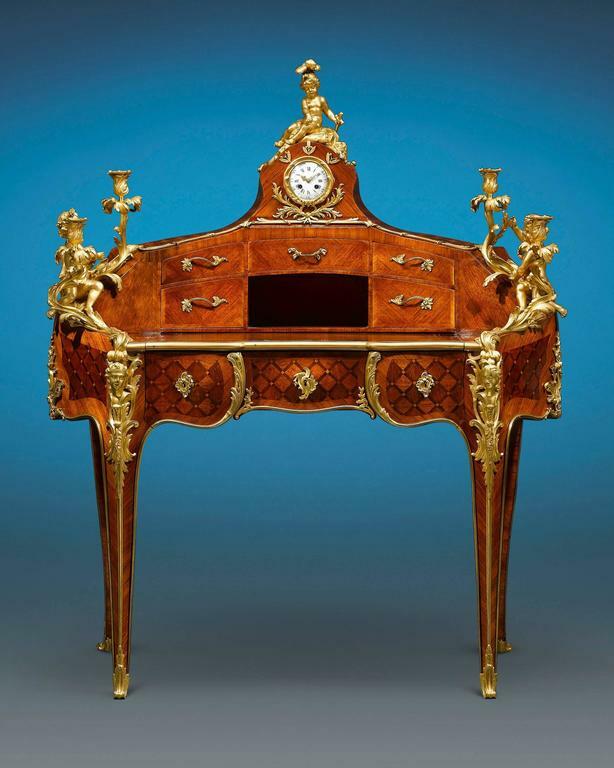 Skillfully crafted in the Louis XV taste, this desk is called tiered due to the five drawers and pigeonhole incorporated into the writing surface. The exceptional artistry displayed in this piece garnered Millet numerous awards throughout his career, including the coveted Grand Prix at the 1900 Paris Exhibition Universelle. Marked "MILLET," circa 1885. Measure: 44" wide x 28" deep x 45 3/8" high. The House of Millet or Maison Millet was founded in 1853 by T. Millet in Paris. Millet was a producer of the finest meubles de luxe from 1853 until 1918, specializing in furnishings designed in the 18th century taste. 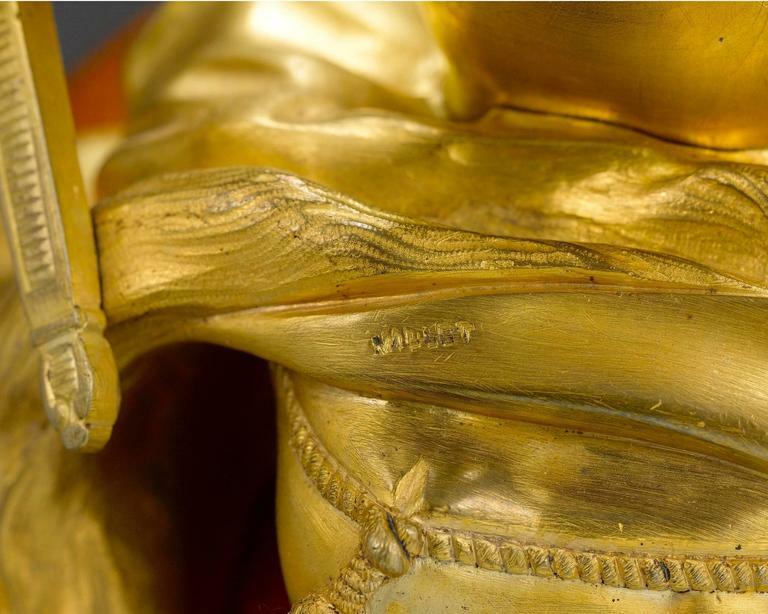 The firm won many honors, including the gold medal at the Paris Exhibition Universelle in 1889, the Grand Prix the following year, as well as three Diplomes d' Honneur and four gold medals. 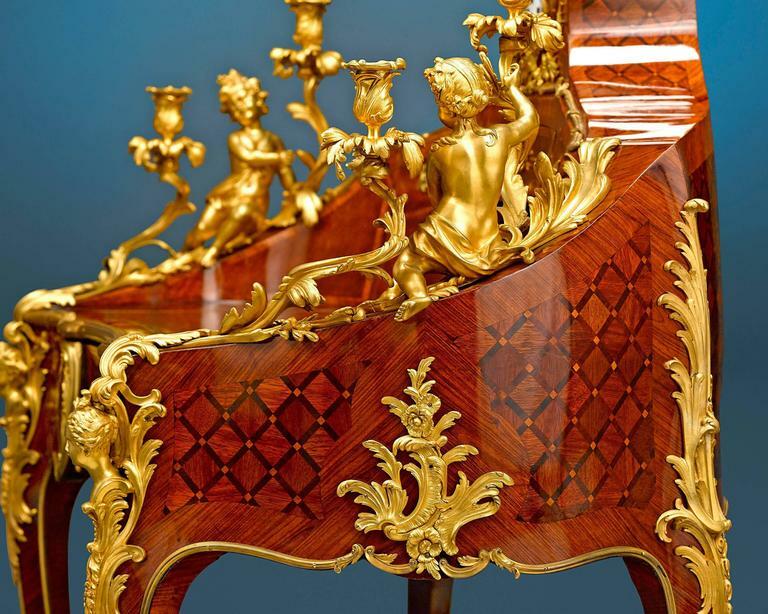 The firm's greatest honor came in 1902 when the curator of Versailles Palace authorized Millet to replace Queen Marie Antoinette's celebrated grand cabinet a bijoux. 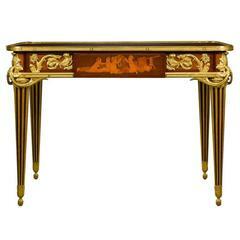 Antique Louis XV provincial style beechwood bureau plat with a tooled leather top, early 19th century.